Ask any cook what is the one condiment that they always use, and most will say mustard. In my adopted country of France, that would be Dijon mustard. 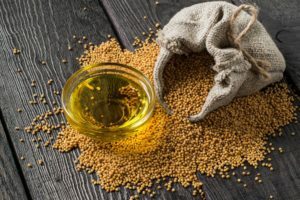 Made from the seeds of the mustard plant, they can be mixed with creams, wines, vinegars and even water to create sweet and spicy little concoctions that take taste to the next level. Served with charcuterie and cheeses, added to a vinaigrettes and mayonnaise, or slipped into the sauce of any meat, its savory notes will always help balance the flavours or emulsify of your favourite dish, especially a roast. 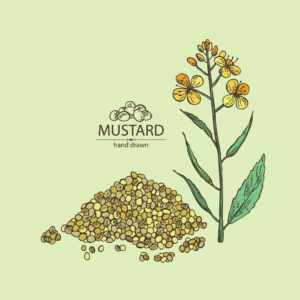 Mustard has been traced back to India in 2000 BCE, and later after the Roman occupation of France in the 5th century. In the 14th century, the French Government introduced regulations for the production of mustard and Dijon was the recognized centre of that activity. 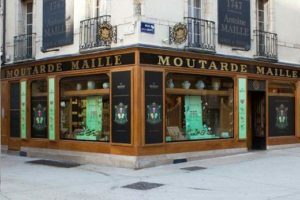 Around the same time, it has been told that Pope John XXII, living at the Vatican located in Avignon, France adored Dijon mustard and had a Vatican position created for his foolhardy nephew, grand moutardier du pape (grand mustard-maker to the pope). It gave rise to the French saying, “Se croire le premier moutardier du pape” which translates to “To think of oneself as the Pope’s head mustard-maker”. Someone who thinks too much of themselves, is conceited and a fool. And yes, you heard right, the Vatican was located in Avignon (known then as the Kingdom of Arles) for just under 70 years during the 14th Century. But that will be a blog for another time, when I talk about Avignon and the Pope’s Palace located there. We frequently travel to Dijon, in Eastern France, a region known as Bourgogne (Burgundy), as my husband often does business there. Dijon is a quiet beautiful town with great architecture from medieval to modern times, fabulous restaurants, and wines are a very important part of the town’s culture. Burgundy has a long and rich culinary history, and it’s especially known for its wines. But the variety of mustard available here is astonishing. 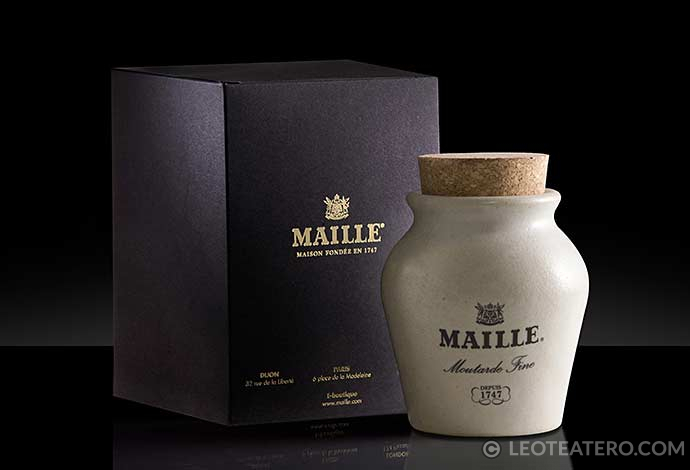 Of course, the one mustard maker that stands out ahead of the rest is the House of Maille (pronounced ‘my’). Dijon mustard is a creamy blend of dry white wine, garlic, onion, mustard powder, salt, a touch of honey and a crucial ingredient: Verjus (Verjuice) a juice made from unripe grapes. This tart liquid gives Dijon mustard its characteristic flavor and sets Dijon apart from the other mustards. 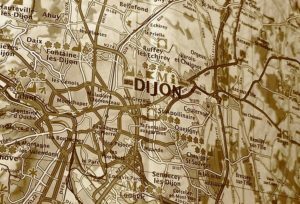 In 1937, Dijon mustard was granted an AOC or Appellation d’origine contrôlée, i.e. a “Protected designation of origin”. Similar to the regulations for wine, butter, cheeses etc., it follows the principles of terroir. As you may recall, I have talked about this before. Terroir is a French word used to describe the characteristic taste and flavor imparted into a product from the environment it is produced. Mustard must be made by this defined method in order to be called Dijon mustard. 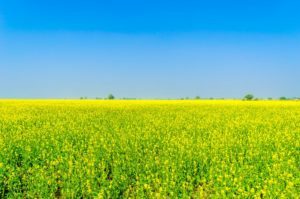 Astonishing enough though, most mustard seeds are actually grown in Canada and shipped to France. Mustard is more than just a condiment for hot dogs and sandwiches. It is best known as a low calorie alternative to mayonnaise and sugary sauces, like ketchup. 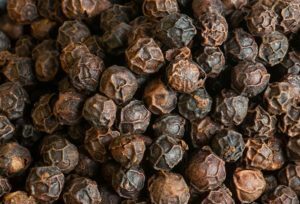 It is also recognized for its helpful with digestion and boosting metabolism. You can easily eat mustard everyday by adding it to a vinaigrette (salad dressing). It’s good for you and costs pennies to make, as compared to store-bought pre-made salad dressings, and you don’t have to recycle the bottle just keep re-using your favourite glass jar. Here are two of my Basic Vinaigrettes, Honey Dijon and Caesar. It wouldn’t be right talking about mustard without giving you a fabulous recipe that calls for it. So, from my dear mother-in-law, this is her Alsatian Roasted Rabbit recipe with loads of Dijon mustard in it. 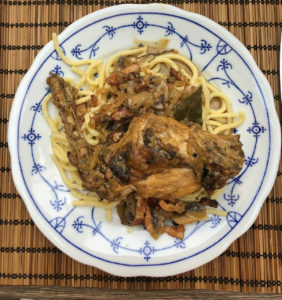 This photo is courtesy of a dear friend, who made the dish and sent me a photograph. Thanks Lana and Kate !! 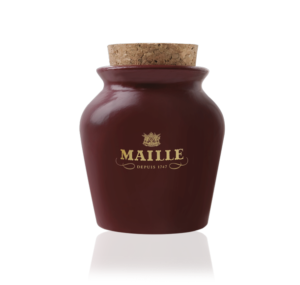 The House of Maille began with one product over 270 years ago in Paris by Antoine-Claude Maille. He was a distiller and vinegar-maker, whose first product was called the Vinegar of the Four Thieves. It, and he became famous for helping people survive the plague at the time. His clients would drink it and apply it to their hands and face. In reality, it was popular because it was a natural flea repellent, which is how the plague was transmitted. His son went on to open the first boutique in Paris and became the official supplier to the Court of Louis XV. His loyal customers also included the Queen and the King’s Mistress Mme Pompadour. His descendants have been supplying mustards and vinegars to Kings and Queens from England, to Austria and Russia. 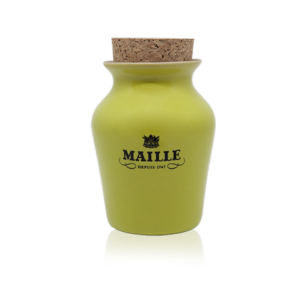 Today, Maille produces all of its 84 mustards, 120 vinegars and 5 varieties of cornichon (little pickles) in Burgundy. 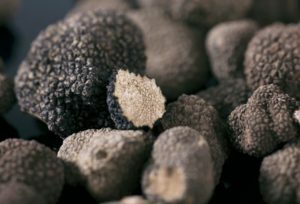 Mustards with such unexpected ingredients as truffle, red berries, morel mushrooms, Scotch Whisky and Cognac, all combined in secret recipes developed over the years. Many of the mustards are sold in earthenware pots and sealed with cork stoppers, drawn by hand from a pump, so you can bring back your favourite mustard pot and have it filled. 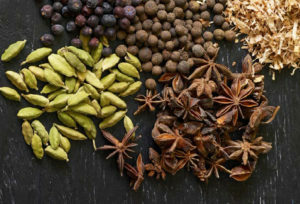 For the vinegars they come in a wider palate, like mango, Sherry, hazelnuts and Soy. 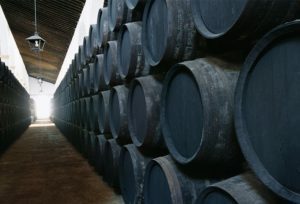 Many of the vinegars are aged in oak vats for at least one year. They also produce mayonnaise and sauces, like tartar, aioli and burgundy. 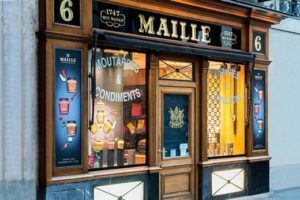 There are many Maille boutiques across France and now in other countries, like England, with their condiment sommeliers who can guide you during a degustation. 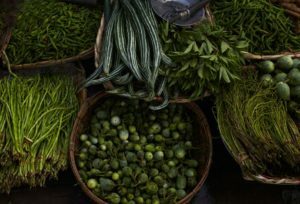 You’ll get to sample many of the mustards, cornichons and vinegars. 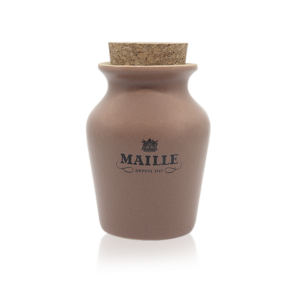 Maille is also available around the world in many groceries stores and online too. But my two favourite boutiques are located in Dijon just near the Palais des ducs de Bourgogne (Palace of the Dukes of Burgundy) and in the heart of Paris near Place du Concorde. 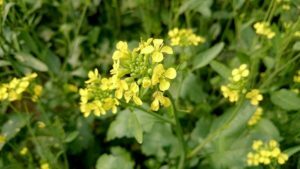 Remember, mustard is not only one the most popular additions to our diet but also a healthy one too. So, go ahead and experiment with mustard in your dishes and make one of these easy and healthy vinaigrettes today. Yum!! I wasn’t a big fan until I married a Frenchman, and was introduced to real mustard—not the yellow stuff we put on our hot dogs. Now mustard goes into everything from salad dressing to pork marinade. Is so versatile! Thanks, Leo.